attractive for a healthier, cleaner Connecticut. Thanks to everyone for a successful workshop! Click here for photos. Presented by Bike Walk CT and hosted by The Center of Latino Progress in Hartford; Registration is now open for those who would like to attend the only nationwide bicycling instructor certification program. Candidates must complete Traffic Skills 101 as a prerequisite to this Seminar. 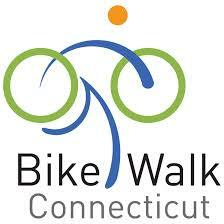 Please make your donation, join or renew now to help ​make Connecticut a better place to bike and walk. Click HERE to sign up for BOTH tours - BEST VALUE! ​Visit our Advocacy and Education pages to read more about our priorities for 2019, or download the full documents directly (Legislative Priorities / Education Priorities). ​Test your Share the Road IQ! ​Stay informed on advocacy news and initiatives, in addition to the various events associated with biking and walking all around the state. Don't miss a thing, sign up now!